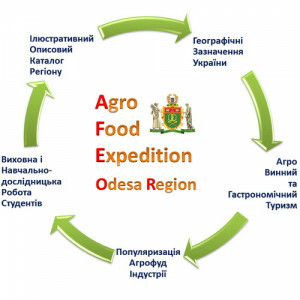 The new project AgroFoodExpedition-OdessaRagion was launched in ONAFT for the discovery of geographical indication products in the Odessa region. – popularization of the system of marking products with geographical indications of Ukraine. – search for interested producers of food products and wines of certain agrarian regions of the Odessa region, which meet the requirements of the project on geographical indications of Ukraine, organized by the European Union. – implementation of agro-food producers of the Odessa region in the agro-wine and gastronomic tourism business of Ukraine through their popularization with the help of published illustrative descriptive materials of the studied regions of the Odessa region.